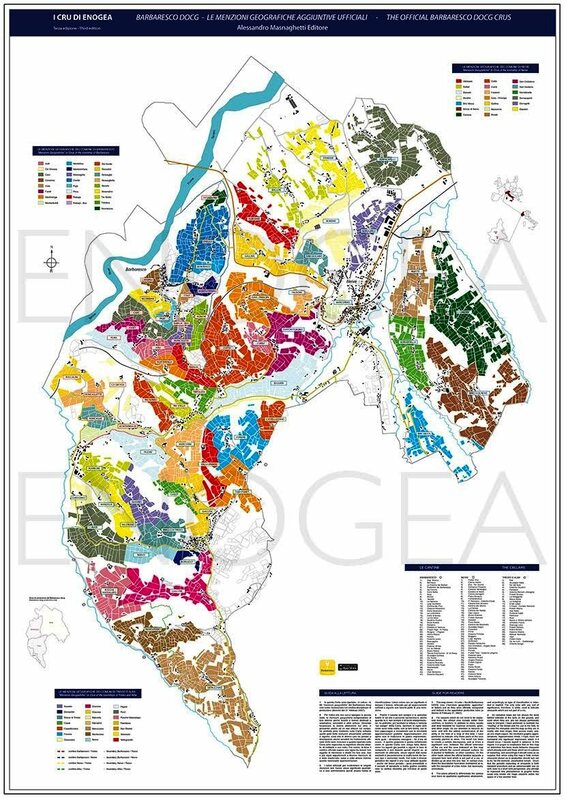 Alessandro Masnaghetti, publisher of the newsletter Enogea and probably the foremost authority on Piedmont terroir, has released two new maps of Barolo and Barbaresco, showing all the recently approved cru names and sites in each appellation. Like Masnaghetti’s other Piedmont maps, these two are handsome to look at, easy to read, and packed front and back with the kind of information a Nebbiolo lover otherwise finds difficult to locate – not just the physical where-is-it of a particular cru, but elevation, exposure, who owns it, and who bottles it. It is exactly that identification and location of each individual cru within both the Barolo and Barbaresco DOCG appellations, along with the information about who bottles a wine from it and under what name, that distinguishes these two new maps from Masnaghetti’s earlier maps. 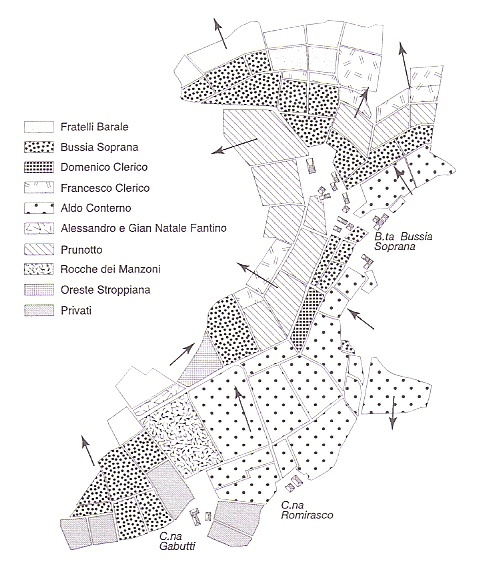 Each of those charted the vineyards of an individual township, provided information about their altitude and exposure, and listed all the grape varieties cultivated in those fields (not just the Nebbiolo). Nor did any cru names appear, as they then had no legal standing, or, for that matter, any agreed-upon boundaries – all of which has been resolved in the now-officially-named sites. Used together, the new cru maps and the earlier township maps answer almost any question the most trivia-obsessed Nebbiolo junkie could come up with. In short, the man I think of as the Mercator of the vineyards has raised the bar even higher for vineyard maps, outdoing even his own previous accomplishments. I’m not the only one who thinks that these maps will one day be (if they aren’t already) collectors’ items, and not just for wine lovers (see Alfonso Cevola’s acute appreciation). The maps and the information on them are systematically rendered in both Italian and English, so everything on them is easily accessible. In addition these two new maps are also available in digital format, making them usable on all sorts of handheld devices, and enabling such users to zoom in or out on whatever features interest them. I don’t know if Masnaghetti plans to issue his earlier maps digitally, but everything is available through almasnag@tin.it or info@enogea.it or, in the US, www.rarewineco.com. With Barolo and Barbaresco, it is just as important to know precisely where a wine comes from as it is in Burgundy’s Cote d’Or. Not just the village matters, but where in the village? Which hill? How high up that hill? It all makes a difference to the wine and to the passionate wine drinker. For me as a wine professional these maps are indispensible, but I know that even as a just plain Nebbiolo-nut, I would want to have them to consult. Three short items today: a new vineyard map; a précis of Nebbiolo Prima, formerly the Alba Wine Event; and a buying opportunity for top-flight Barbaresco. I spent an intense week in Piedmont last month tasting wines and visiting producers – I’ll report briefly on that here, in detail in future posts. I want to start with what is definitely good news: the map of the commune of La Morra that Alessandro Masnaghetti has just issued. 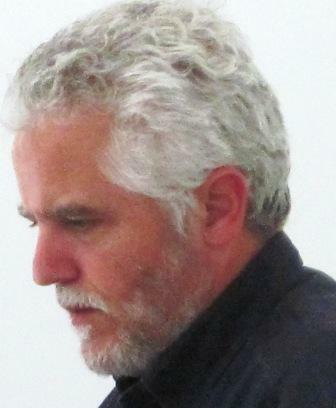 As I explained in an earlier post, Alessandro Masnaghetti is a highly respected Italian wine journalist, the publisher, editor, writer, mapmaker – pretty much the whole writing and production staff – for Enogea, a bimonthly Italian-language journal devoted to the wines and terroir of Italy’s great red wine areas – most notably, Piedmont and Tuscany. 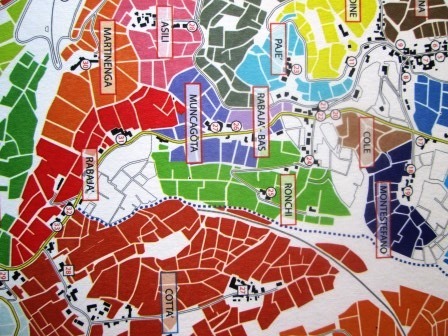 He has been producing a series of vineyard maps, in Italian and in English, of individual communes in those zones. These maps are more accurate, more detailed, and provide more information about sites, expositions, and ownership, than any vineyard maps I have seen for any other wine region. 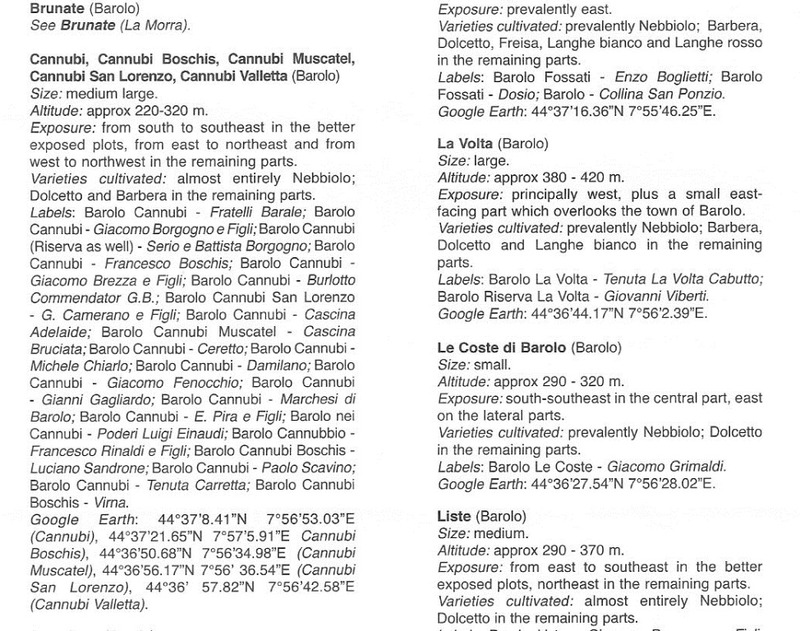 So complete are they that you can even use them to locate the newly created subzones of Barolo and Barbaresco. 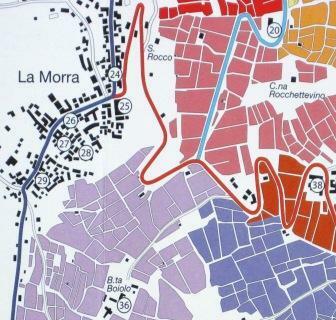 This newest map, of La Morra commune and nearby Roddi and Cherasco, is fully up to the standards set by its predecessors. It completes Masnaghetti’s survey of the vineyards of Barolo. 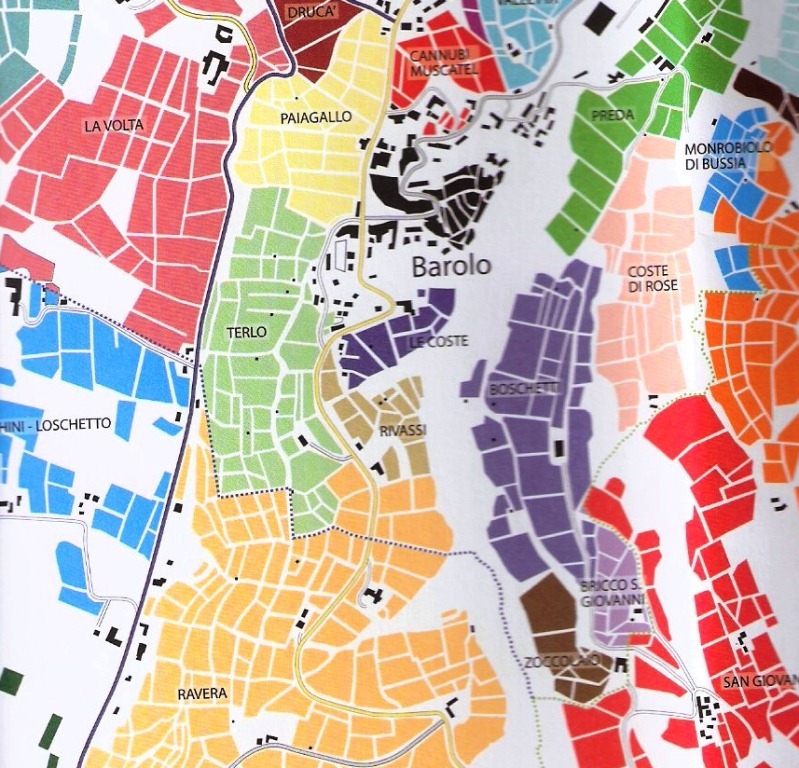 So he has now issued complete maps of both major Nebbiolo denominations, Barolo and Barbaresco, containing as much vineyard and producer information as any wine maven could desire. The maps can be obtained by contacting, in Italy, almasnag@tin.it or, in the US, www.rarewineco.com. Now for the less good news. 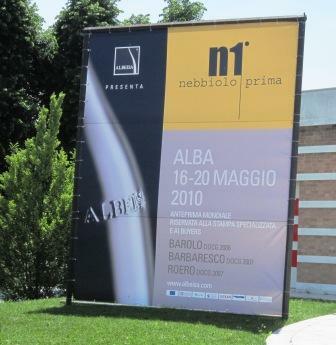 What used to be the Alba Wine Event (I always liked the acronym) is now Nebbiolo Prima, with new (and definitely not yet up to speed) PR crew replacing the very competent Wellcom staff who previously ran it. So there were glitches, not least important of which were the temperature of the wine storage (tasting samples were too warm) and tasting room (chronic trouble with the air conditioning) – both of which make serious problems when you’re tasting 85 newly bottled Nebbiolo wines every morning. Here is the summary of the event. 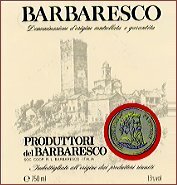 The 2007 Barbarescos are charming – very accessible, with lovely fruit, good acid, decent structure. They may not be the longest-lasting wines ever to come out of the zone, but they will be enjoyable drinking over the next ten years. Charm, on the other hand, is not a word to use in connection with 2006 Barolo. These are tough, enormously structured wines, complex and deep, but leatherbound right now and maybe for the next five years. If you miss old-fashioned Barolo as I do – wines that took years to come round and then got better and better for decades – 2006 is your vintage. Here’s an important piece of news that should affect your wine budget: Produttori di Barbaresco, the superb cooperative that every year offers some of the best wines and finest bargains in Barbaresco, has decided not to bottle separately any of its cru wines in the 2006 vintage. All have been vinified separately but will be blended back into the “basic” Barbaresco. 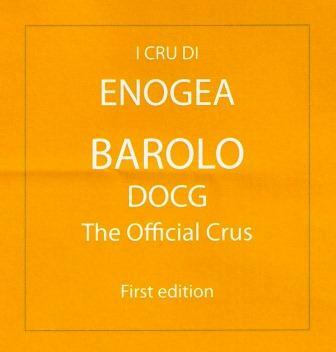 The reasons for this are, apparently, first, that there is too much wine already in the pipeline, and, second, that in 2006 the cru wines reflect the vintage – as in Barolo, it is that kind of dominating vintage – much more than they do their individual terroirs. Whatever the reasons, this makes a fantastic buying opportunity for Nebbiolo fans: a first-rate vintage from a first-rate producer at bargain-basement prices. I have already seen Produttori 2006 Barbaresco here in New York for as little as $30 a bottle. That’s a whole case of a fine, long-lived Barbaresco for the price of a single bottle of Gaja. Need I say more? I am not really a map person. I’m not really even a directions person, truth to tell. I seem to suffer from a form of right/left, east/west dyslexia. Even after decades of life in New York, I still get disoriented coming up to street level from my neighborhood subway. Given all that, you can understand that I usually don’t get very excited about maps, and that the idea of a “good map” is sort of a foreign language to me. 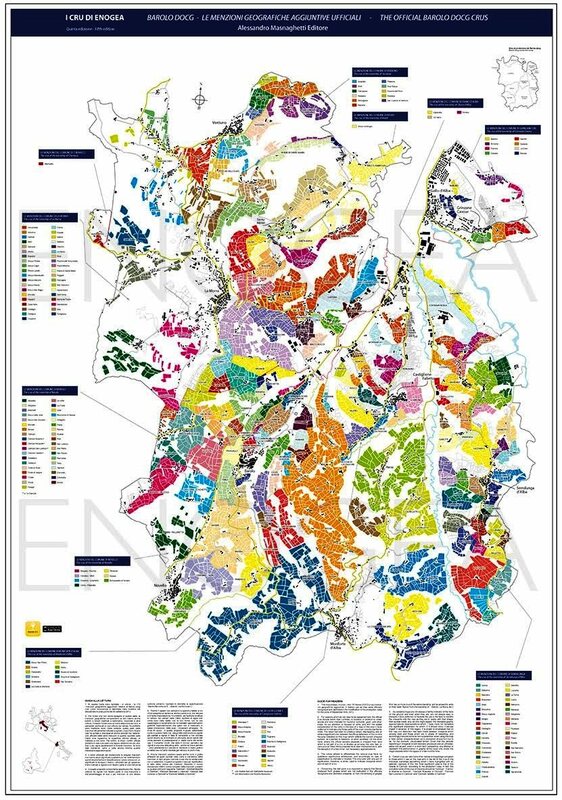 So when I tell you that an Italian wine journalist named Alessandro Masnaghetti is publishing some truly great maps of the major Italian wine zones, you can believe that they are really exceptional. 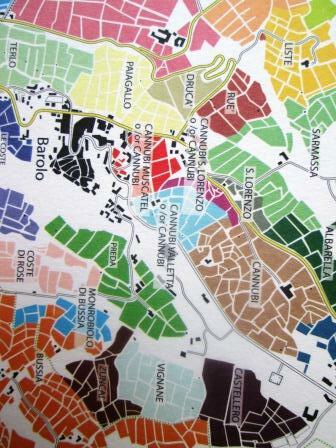 Here is a detail, about half actual size, from his map of the Monforte d’Alba commune of Barolo. I’ll return to this image to explain just what makes Masnaghetti’s maps so superior in a little bit. Right now, I want to frame the picture for you. Alessandro Masnaghetti is a highly respected Italian wine journalist, the publisher, editor, writer, mapmaker – pretty much the whole writing and production staff in effect – for Enogea, a bimonthly Italian-language journal concerned almost to the point of obsession with the wines and terroir of Italy’s great red wine areas – most notably, Piedmont and Tuscany. He has been producing a series of vineyard maps, in Italian and in English, of individual communes in those zones. These maps are more accurate, more detailed, and provide more information about sites, expositions, and ownership than any vineyard maps I have seen for any other wine region anywhere. 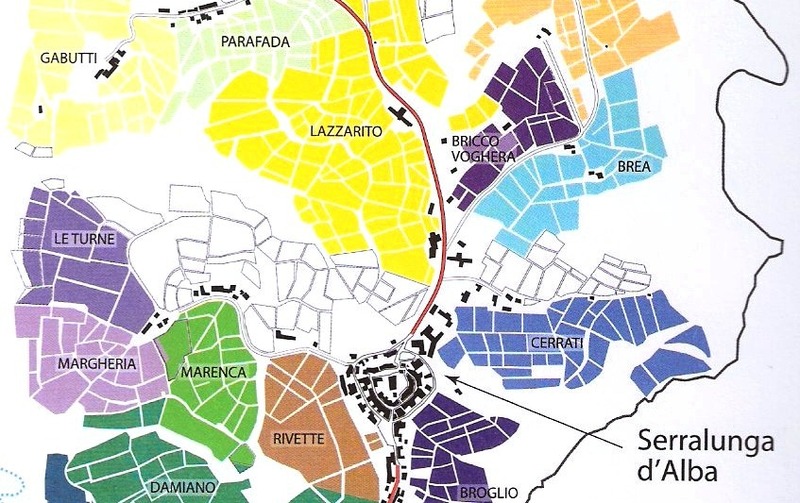 So complete are they that you can even use them to locate the newly created (the names will start appearing on labels in 2010) subzones of Barolo (177 – that’s right, 177 – named subzones approved) and Barbaresco (66 names approved). Back to the map detail. What you’re looking at here is the northwestern corner of the commune of Monforte d’Alba, a township that is one of the most prized sources of Nebbiolo for Barolo. In particular, you’re looking at Bussia – Bussia Soprana to the left, Bussia Sottana to the right (with Munie shown in pale blue just below it). Bussia is one of the great crus of Barolo, a name that appears proudly on the labels of some of the zone’s most prestigious makers. 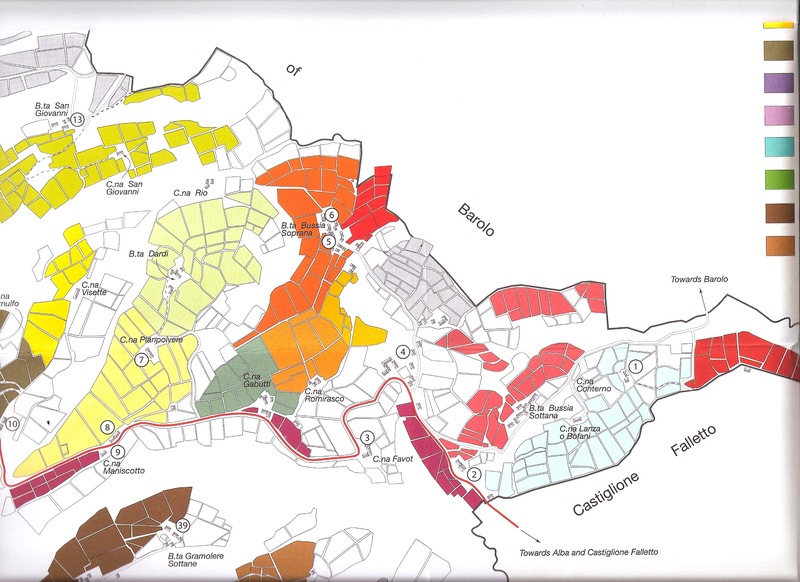 What the color-coded map shows are the major subdivisions within that – for example, Colonello, Cicala, Romirasco – as well the sites of wineries in the zone – #5 is Francesco Clerico, #6 is Bussia Soprana, #4 there in the center is Giacomo Fenocchio. So what Masnaghetti has created is a cru map of Monforte d’Alba, showing the locations of all the key vineyard sites within the township. In addition to identifying who owns what and where, there are arrows indicating the direction of the slope and therefore exposure. 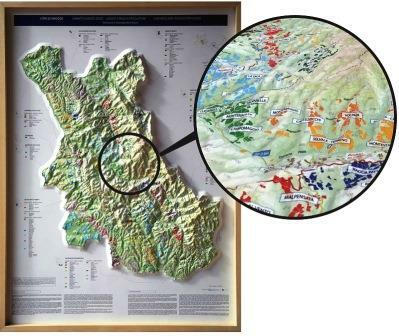 The prose accompanying each such vineyard map – and there is one for each cru of the commune – gives data about elevation, soil quality, wine characteristics, and varieties cultivated, if any beyond Nebbiolo. From my own experience, I can tell you that this kind of information is not casually come by. Each one of Masnaghetti’s maps represents a massive effort, and for the real Barolo nut – of which, for better or for worse, I am one – all this data is candy for the baby. Besides all that, the maps are handsome: I’ve rarely enjoyed just looking at a map before, but these give me real satisfaction, both visually and intellectually. I think they are an amazing accomplishment. Thus far, Masnaghetti has produced vineyard maps for the townships of Barolo, Castiglione, Monforte, and Serralunga in the Barolo zone; for Barbaresco, Neive, and Treiso, the entirety of the Barbaresco zone; Giaole, Panzano, and Radda in Chianti Classico; Bolgheri and Bolgheri Sassicaia elsewhere in Tuscany; and Mazzon in the Alto Adige. Non-subscribers to Enogea can obtain the maps by contacting, in Italy, almasnag@tin.it or, in the US, www.rarewineco.com.